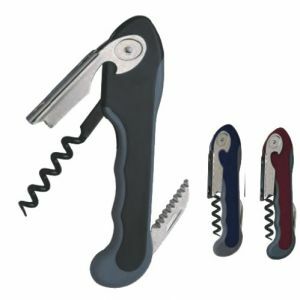 Waiters Corkscrew with a soft touch handle featuring a non-stick coated worm and serrated blade. Stamped wwith Storrs logo. Available in two colors: navy & burgundy.